Please note that we are relocating and will be rearing new stock next year. We are a family business located near the historic village of Headcorn at the edge of the Kentish Weald and one of a very small number of UK producers of snails. Our modern facilities and farming methods enable us to consistently provide a high quality, fresh product on a regular basis to caterering services in the South East of England. 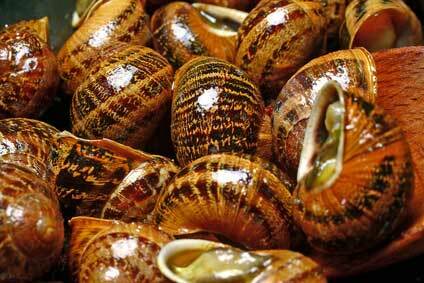 The variety of breeding snail we use are Helix Aspersa Maxima, known in France as, Gros Gris. 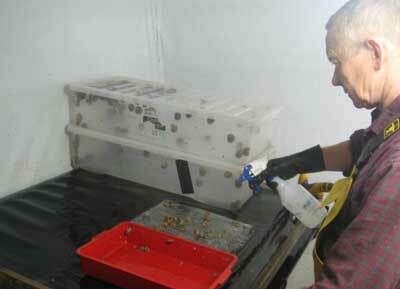 Our farm initially started with just 200 breeders, we now have a turnover of 3,000 snails a week. Getting where we are today was a lengthy process of experimenting with food types, stock levels, temperature and lighting control, as well as many other farming methods. Due to the UK’s cold climate, the indoor farming method we use is more practical than the outdoor method used by our southern and eastern European counterparts. It allows a weekly production of eggs throughout the year and gives us total control over each stage of the snail’s development, from egg up to harvest. We now have a range of customers that include French and Italian restaurants, as well as delicatessens and other specialist food retailers. Over recent years we have seen a dramatic change in eating habits in the UK and people are far more likely to try something different. 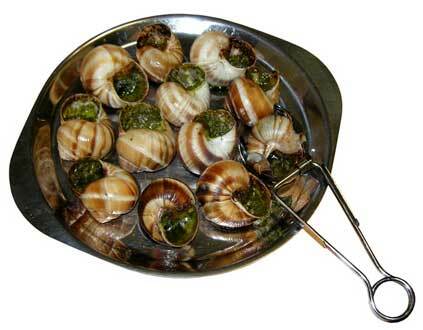 Snails are much more tempting if they are fresh and of the finest quality. Kent Escargots is able to consistently provide such a product. The problem for chefs in the UK is finding a fresh, local product, such as escargots, during the cooler months of the year. Snails in garlic butter are a tempting hot first course, especially during the winter, and in the restaurants able to currently supply them a popular choice with diners. If reared using the traditional outdoor methods, snails in the UK would be in hibernation for approximately half the year, so tinned or frozen snails would be the only alternative. Tinned snails are often chopped up giant African land snails, which grow to be a foot long and don't have the greatest flavour. Frozen snails, although better, are significantly inferior to the fresh product. Kent Escargots are aiming to please the top hotels and restaurants in the home counties and London, with the promise to provide fresh, blanched, snails that are locally produced and weekly delivery. Andy Grant, the owner of Kent Escargots, is certain that his background in research will continue to enhance the farming methods that Kent Escargots are using, thus ensuring that a top quality, fresh product is available throughout the year for the British market. Snails may be on the slow food trail but consumption is hardly sluggish. With only one per cent fat snails are a gourmet treat that's a nutritious, and a lean source of protein too.